Rising second- and third-year law students who have demonstrated a commitment to litigation stand to benefit from a generous scholarship established by the Miami law firm Lewis Tein PL. The recipients, who will be known as Lewis Tein Scholars, will be selected from theLitigation Skills Program, which is directed by Professor of Law Emeritus Laurence M. Rose. "The UM School of Law Litigation Skills Program is hands-down the finest courtroom preparatory course in the country," said Guy Lewis, a partner at Lewis Tein and an adjunct professor in litigation at Miami Law. "Professor Lonnie Rose and his team are recognized as the country's leading experts on litigation skills. We hope that this scholarship promotes and sustains that program, exposing students to the wonderfully challenging art of trying cases." Lewis, one of two named partners in the firm, is a nationally recognized expert in cases involving business litigation and various complex white collar and criminal matters. From 2002 to 2004, he served as the Director of the Executive Office for United States Attorneys in Washington, D.C., providing guidance and oversight for all 93 U.S. Attorneys. Prior to serving as Director of EOUSA, Lewis was the U.S. Attorney for the Southern District of Florida. His partner, Michael Tein, specializes in litigation and complex commercial and white-collar cases. "We are pleased to receive this generous donation from Guy Lewis and Mike Tein to fund a scholarship for a Litigation Fellow in our program," Professor Rosesaid. "Their leadership allows us to recognize excellent advocacy, ethics and professionalism in the Litigation Skills I course, and the recipient will join a select group of outstanding students who will support the efforts of our program to bring an increased advocacy experience to UM Law students." Miami Law's Litigation Skills Program is open to all students and provides rigorous, hands-on training and the practical skills necessary for competent, professional legal service, and includes pretrial skills. Other law schools typically teach trial advocacy as an intensive course delivered over a short period of time. Miami Law's program is unique not only in its breadth but in the fact that students who graduate from the course are placed in a six-credit externship program in which they are certified by the Supreme Court of Florida to engage in the supervised practice of law. "The law school has graduated consistently the best legal minds in the country," Lewis said. "For many years now, Lewis Tein has been drawing regularly on UM Law's talent, hiring clerks, first-year associates, and young attorneys. My law partner, Mike Tein, and our firm want to continue to support and encourage that spirit of achievement and excellence. 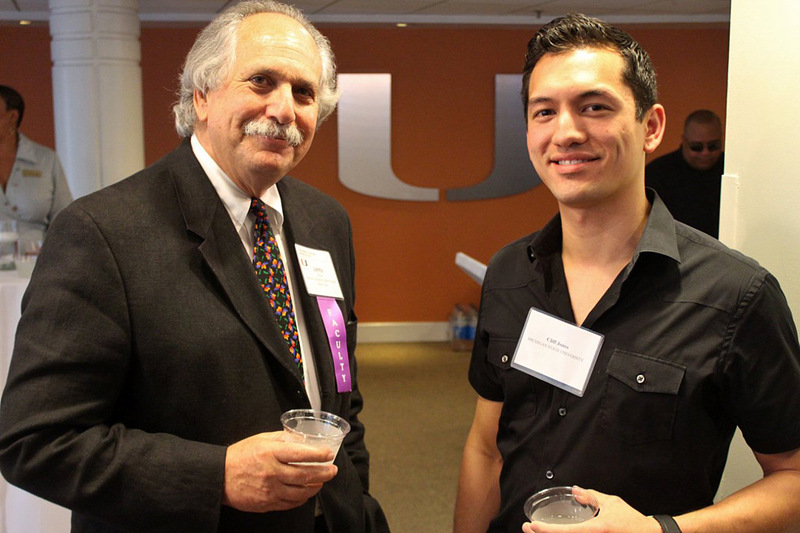 It's a distinct privilege and honor to support the UM School of Law, and the Litigation Skills Program in particular."